Sometimes even the accusation of criminal wrongdoing can have serious consequences on your life. One false accusation has the power to ruin your reputation. Employers may be hesitant to work with you, friends may start to keep their distance, and romantic relationships may become incredibly difficult to begin. False accusations of criminal behavior could even land you behind bars. If you have been falsely accused of a crime in Ohio it is important to be proactive and take decisive steps to help ensure that your life is not turned upside down by another’s allegations. 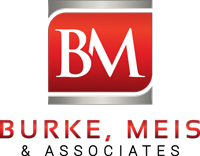 Speak to Columbus criminal lawyer Adam Burke today. 1. Contact and Hire Attorney Immediately. False allegations do not always mean that you will be arrested and charged with a crime. However, it is very possible that false allegations will lead to an arrest. This is especially true for allegations of domestic violence, child abuse, and other violent crimes. The very first step you should take after you have been falsely accused of a crime is to contact and hire a Columbus criminal defense attorney. Set up a time to speak with the attorney and explain your situation. Hiring an attorney will not make you look guilty. Police cannot use the fact that you hired an attorney as evidence of your (alleged) guilt. Immediately hiring an attorney will help to protect your legal rights. 2. Invoke Your Right to Remain Silent. If you’ve ever caught an episode of Law and Order you’ve heard the famous phrase “you have the right to remain silent; anything you say can and will be used against you in a court of law.” If you are arrested you should play this phrase over and over again in your mind. Anything you say – whether it is in response to a question or a voluntary statement – can and will be used against you at some point in time. However, it is not enough to simply refuse to speak to police. Your Fifth Amendment rights are not fully invoked until you explicitly state your intent to remain silent. Once you have verbally invoked your right to remain silent you should not say another word. The things you say can be taken out of context, twisted, or misunderstood. If you have been falsely accused the prosecution is likely struggling to find evidence that is sufficient to convict you. Do not give them anything to work with. There is one important exception to remaining silent when you are in police custody. You are legally entitled to be assisted by counsel – so do not hesitate to ask to speak to your attorney. Prosecutors will try to trick you into a false confession, exaggerate about the amount of evidence they have, or make the situation seem more serious than it really is. Do not play into their hand. Invoking your right to have an attorney will help to make sure that your legal rights are respected. Having an attorney on your side will take away any advantage or leverage the prosecution may have had. Law enforcement can generally conduct a search in one of two ways. First, they can get your permission. Second, they can apply for a search warrant that is based on probable cause and hope that a judge signs off. Do not consent to a search. Instead, make law enforcement take the more difficult path. What if you have nothing to hide? While this may be true you never know what police may find during a search. Forcing police to get a search warrant not only requires them to have probable cause, but also forces them to limit their search to the item(s) and location(s) listed on the warrant. A search conducted pursuant to a warrant must be narrow and in pursuit of what the warrant allows. A search pursuant to your permission has no such boundaries. When you have been falsely accused of a crime it will be important to have evidence that supports your innocence. After you have been falsely accused you should begin to gather and collect emails, texts, Facebook messages, social media posts, letters, and any other information that may help to establish your innocence. Share any information you find with your attorney. Your attorney will use any evidence that supports your innocence to petition the court to have the charges against you dropped. Your first instinct may be to confront your accuser. Do not follow your instinct in this situation. This person has accused you of committing a crime, and that is a big deal. Going to speak with them can cause more harm than good. Your accuser may report your encounter to police and relay the things you said. Again, these statements can be taken out of context or misunderstood. Additionally, you could face additional criminal charges for harassment, stalking, or any other number of similar Ohio crimes. Your accuser may even ask for a protection order to be issued against you. Have you been falsely accused of a crime in Columbus? Even false accusations have the ability to disrupt your life, so do not wait to contact an experienced Columbus criminal defense attorney. It is important to know your rights and begin to mount a defense before you are ever charged with a crime. If you are arrested when you are first accused, immediately invoke your right to remain silent and ask to speak with your attorney. Hiring an attorney will help to ensure that your life is not thrown off track by false accusations.